Meaningful engagement of community groups and organizations, other key stakeholders and residents will be essential to developing Park Board priorities, policies and services. Community Centre Associations are integral to the 23 Community Centres across Vancouver. These Centres collectively reach thousands of residents. As a past President of the West Point Grey Community Association that jointly operates the West Point Grey Community Centre with the Park Board, I am keenly aware of the tremendous value of Community Centres and other community organizations to our neighbourhoods across our City. I will work to ensure that we develop a process for consulting and collaborating with such key stakeholders and residents to inform Park Board policy and decision-making. 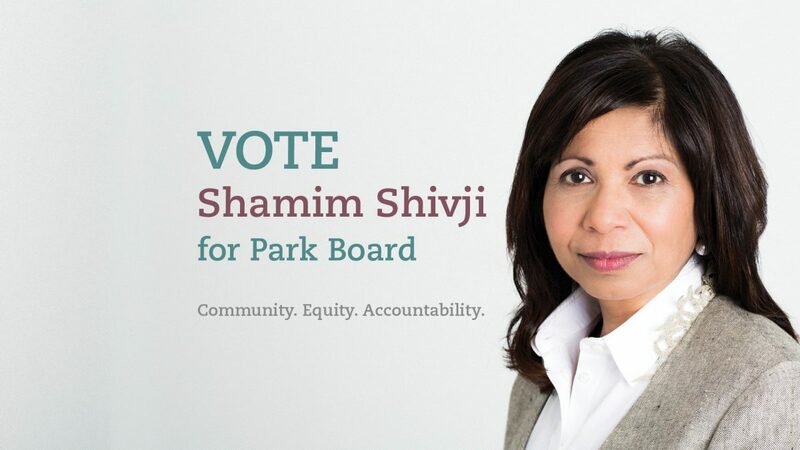 From my experience working with the Park Board, I strongly believe that residents’ timely input and feedback is vital and leads to better decisions by the Park Board and better outcomes for our city. actively collaborate with diverse community groups across the city to ensure that all residents have access to affordable recreation programs and services. Priority 3: Build stronger and resilient neighbourhoods across Vancouver through increased community and cultural spaces, and support for community initiatives. Resilient and vibrant neighbourhoods are vital to sustaining the health of our residents. Increased community and cultural spaces are essential to providing opportunities for strong personal connections and on-the-ground engagement. I commit to ensuring that the Park Board makes this a priority and to partner with key community groups and stakeholders to create opportunities and support for sustainable community initiatives especially for disconnected young adults and seniors to connect, engage and thrive. These opportunities may range from arts and cultural programs to accessible play areas and sports facilities to green spaces and environmental strategies: the priorities will be identified in collaboration with residents and key stakeholders. Our parks and public facilities will play a key role in enabling resilient, engaged and vibrant communities in neighborhoods across our beautiful city. What are your priorities for Park Board? I’d like to hear from you. Please email me at shamimshivji2018@gmail.com. I am also happy to meet with you to discuss Park Board issues. For more information about my qualifications and to support my nomination, click on the ‘About me” tab at the top of this page. 2018 Vancouver Municipal Election for Mayor, City Councillors, Park Board Commissioners and School Board Trustees is on Saturday, October 20th, 2018. 2018 Vancouver Civic Election Vote is happening on Saturday, October 20th. Advance voting details to be announced by Elections BC. Shamim Shivji Blog at WordPress.com.